Happy New Year and welcome to 2019! A new year brings renewed interest in trends, colors, and design details, and an overall projected direction for the year’s design. Just like we did last year, we thought we’d share the highlights of this year’s trends with you today! 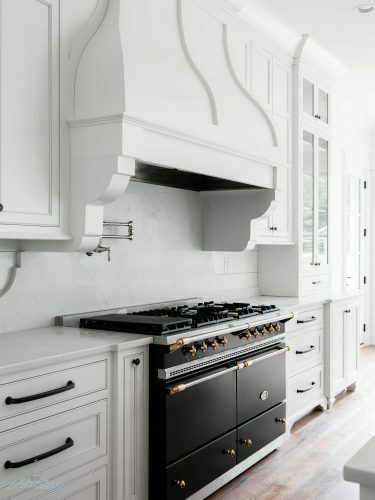 White kitchens will always be timeless but 2019 is not their year. 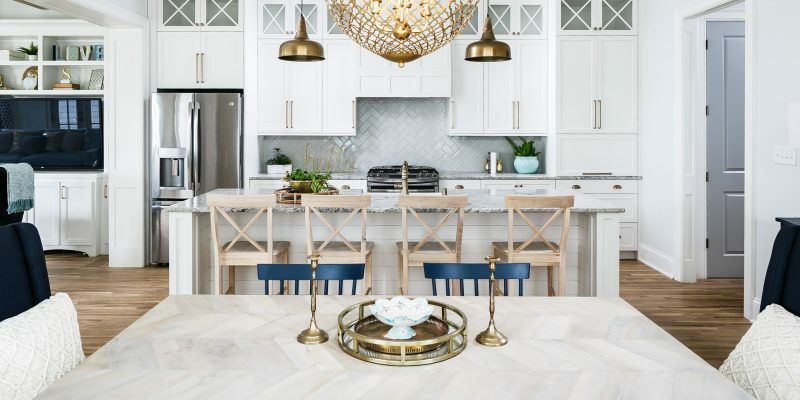 With an emphasis on big color, high contrast, and metals, you’ll be seeing far fewer clean white kitchens in this year’s trendiest home designs. While white kitchens are out right now, dark finishes are in! High contrast is huge this year, and dark, moody kitchens are trending. With the right mix of materials and lighting, a kitchen with dark tones can be just as inviting as a white kitchen, and maybe even more excitingly modern. If you’re wondering about color in your kitchen, check out our recent blog post all about kitchen colors. When a trend is big the year before, it can open the door for similar trends moving forward. Rose gold, the big metal of 2018, did the former. 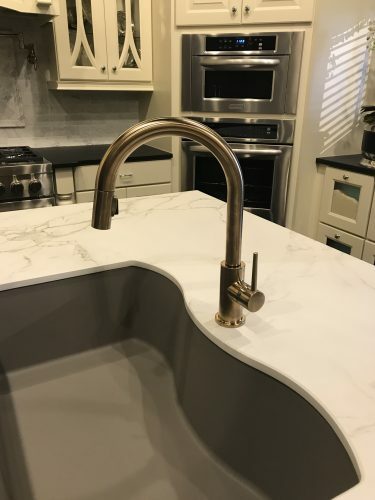 You’ll be seeing sheens of gold fixtures, sinks, and accents this year as metallics continue standing strong. Rose gold was trendy and this year we expect many gold products to be big. Look out for brushed gold and many other metallic sheens to pop up as well. To bring trendy contrast into your kitchen, choose a statement piece or two for a pop of color or exciting pattern. It will completely transform your kitchen–whether classic white or trendy black. Did any of those trends spark your creativity and get you thinking about your next remodeling or new construction project? Get in touch today!